An a capella quartet of birds is not how I imagined the opening of Fantastic Mr Fox. Having read Roald Dahl’s book and watched George Clooney preen as Mr Fox on screen, I wasn’t really sure of how this live stage version was going to unfold. 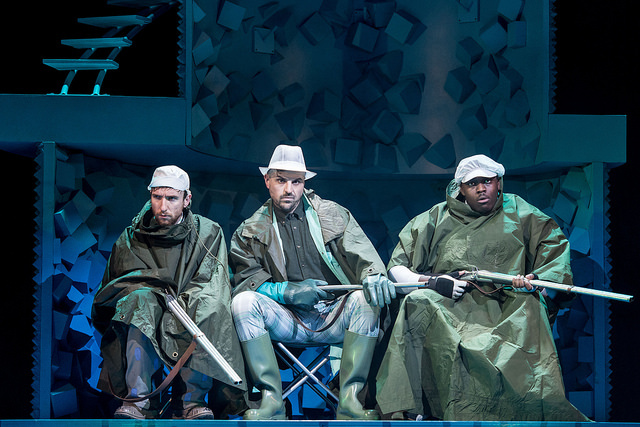 It was a delight to witness this rock/ jazz musical take on Dahl’s fascinating story of a fox and his struggle for survival against hostile humans. Mr Fox, played to perfection by Greg Barnett, is full of bravado, bordering on the narcissistic. He feels duty-bound to feed his family and friends. He is patronising at times, refusing help from near and dear ones even when he obviously needs it. Mrs Fox is the voice of reason in this narrative, watching her husband’s back and being there to help when he needs it most. The story unfolds with the three mean farmers – Bean, Boggis and Bunce waging all out war against the animals who steal food from their stores. Their burrows under threat, Mr and Mrs Fox, Kit (the fox cub) and their friends Badger, Mole, Mouse and Rabbit, dig deep for their survival. Mr Fox continues to cling to his bravado and insists on flying solo in search of food, only to be outfoxed (although he sings to the contrary, “No one can outfox a fox!”), by a conniving and slightly drunk Rat. Enter Mrs Fox to save the day. This is the turning point in the story. Mr Fox realises he is not invincible and that every being, no matter how big or small, can have a useful purpose. The animals work as a team and... let’s not reveal the end, shall we? Of all the characters, Rabbit, played by Sandy Foster, was stand-out for me personally. A little bit silly, almost dopey at times, she delivered a couple of risqué jokes with such a straight face, I was giggling out loud. 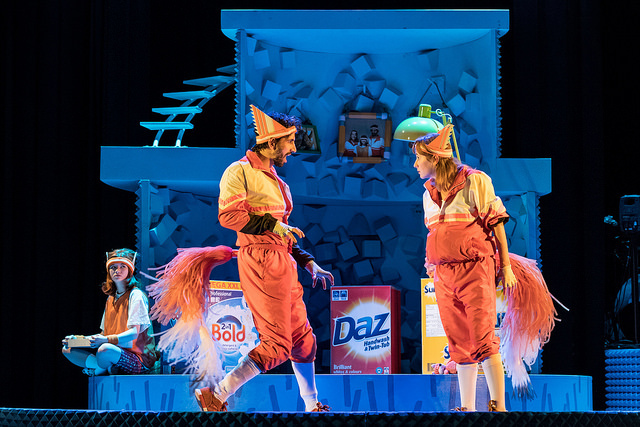 Did we enjoy watching Fantastic Mr Fox live? Yes. My 6 year old was humming, “Dig for our lives,” on our way home. And the layered stage setting worked really well, as when the actors were on the top tiers, he didn’t have to crane his little neck too much to watch the on-stage action. Would we have liked anything differently? A couple of things, perhaps. The red-eyed dog was a nice touch, but was gone and done with in a jiffy. The raid at Farmer Bean’s warehouse could be more elaborate. That said, at a running length of 2 hours and 5 minutes, it was a great show for all the family to enjoy. 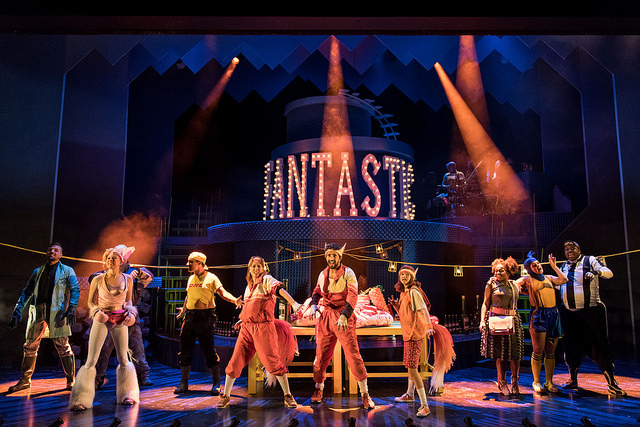 You have another couple of days to watch Fantastic Mr Fox Live at The Lowry. Pop over to check listings and to book your tickets now. Disclosure: We were guest of The Lowry for the purpose of this review. All opinions are my own. All images are courtesy The Lowry.